After upgrading to the latest Windows 7 Skype version (6.3.0.105) and having Lync Server 2013 with CU1 at the company, I managed to send IM and call my Skype endpoint using my Lync 2013 client. The trick was to sign in Skype using my old Windows Live account. That account I’ve previously added to my existing Skype account. Contact information in Skype about the Lync user and vice versa. Except the Messenger mood message (not the Skype!) is visible in Lync. Actually I don’t know how to change that mood message. Adding Skype user to Lync meeting. 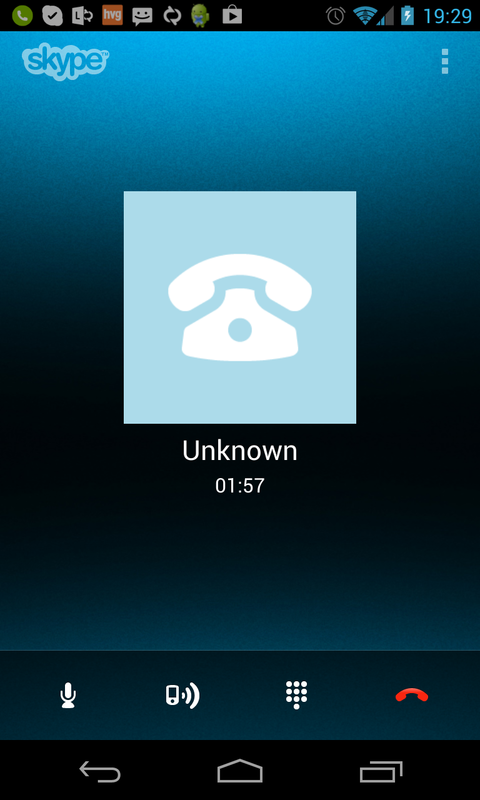 Transferring Skype caller to other Lync user, or phone number or parking the call. Using Skype on Android will show unknown caller and produce strange call history records. 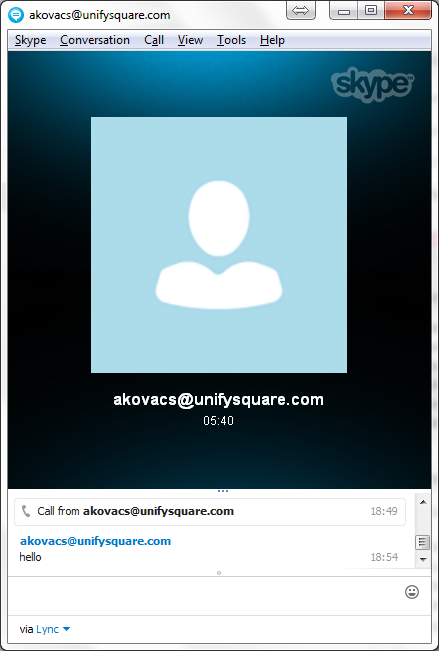 Skype conversation window while having a Skype – Lync call.